I did it! I finally finished this 800-page beast. It took me over a week, and I have so many thoughts. The Goldfinch starts with thirteen-year-old Theo, who lives in New York City with his mother. One day, Theo’s mother is killed in a terrorist attack, and Theo spends the rest of his childhood being bounced around from home to home. 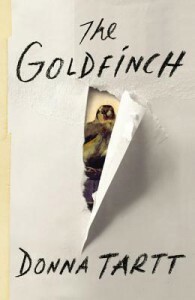 During this time, he develops a drug addiction and an obsession with a painting called The Goldfinch. When he grows up, he becomes involved in the dangerous world of fraudulent antiques and art theft. I have so many conflicting feelings about this book. There are parts of it that blew my mind and parts of it that bored me out of my mind. The beginning of the book is great. It starts with a terrorist attack that Theo survives but his mother doesn’t. The first few hundred pages are devastating. Theo doesn’t know how to get through life without his mother. His depression and confusion are so realistic that they’re difficult to read about (in a good way). I love the first half of this book. The writing is strong, and the young characters are easy to care about. This is one of those books where you want to reach through the pages and pull the child-characters out of their horrible lives. This book has a lot of characters, but my favorites are Boris, Pippa, and Hobie. All of these people help Theo through difficult parts of his childhood. I especially like Hobie because he’s so patient, even when Theo treats him horribly. Boris and Pippa are the only teenagers who can relate to what Theo has been through. Boris adds a lot of much-needed humor. Most of the other teens in Theo’s life avoid Theo because they don’t know what to say to him. He loses his friends when he needs them the most. Another element of the book that I really like is the New York setting. The book is about super-rich New Yorkers who collect art and antiques. (And the not-so-rich people who create/steal art and antiques.) The characters’ lives are so different from mine that they’re interesting to read about. It’s easy to relate to Theo’s alienation in this world. It takes him a while to find his place in it. 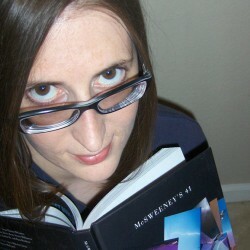 Unfortunately, I think the book goes downhill in the second half. I’m not a huge fan of adult-Theo. When Theo’s a child, it’s easy to feel bad for him, but as an adult, he’s pathetic and selfish. He acts without thinking about the long-term consequences, and he spends a lot of time wallowing in his own misery. I don’t think these character traits would have bothered me in a shorter book. Since this book is so long, Theo’s self-centeredness got on my nerves. I’m also not sure how I’m supposed to feel about Theo’s relationship with Pippa. I know that they have a connection because they both survived the terrorist attack, but their relationship starts quickly and stops ambiguously. It feels a bit like insta-love (or insta-obsession?). I’m not sure how Pippa feels about Theo by the end of the book. Finally, I think the ending drags on too long. Theo and Boris go to Europe to track down a missing painting. There is a lot of action in this part (and a lot of new characters who suddenly show up), but the action is interspersed with long passages of Theo feeling sorry for himself. I understand that he’s a depressed drug addict, but I wanted him to do something. I was also very tempted to skim the pages at the end where Theo is reflecting on his life. Ultimately, I did enjoy this book. It’s well-written, and the beginning is something that I will be thinking about for a long time. However, by the end, I was ready for it to be over. I think I would have loved this whole book if it had been shorter.